A social network exclusively for cyclists, Social Cycling Groups makes it easy to get together, find a place to ride and enjoy a bike ride at a level and time that suits you. Social Cycling Groups gives people who might otherwise be cycling alone the chance to buddy up with other cyclists and join groups and rides in their area. It's the ideal opportunity to take control of your cycling, discover new chances to ride and make some friends along the way. 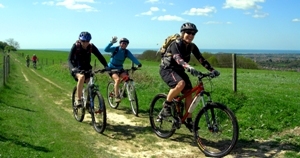 Rides are organised by cyclists across the country throughout the year. Looking to join some rides and meet new people? Join as many rides as you like using the Ride Finder - all for free. Want to start your own rides? Plan new routes or use tried and tested ones using British Cycling Mapping.